How Can You Toucan This Season??? If you have no clue how you can Toucan this season Kate can help….Kate Spade that is!!! And she strikes a solid second time this season with her Rio Collection starring the Toucan. 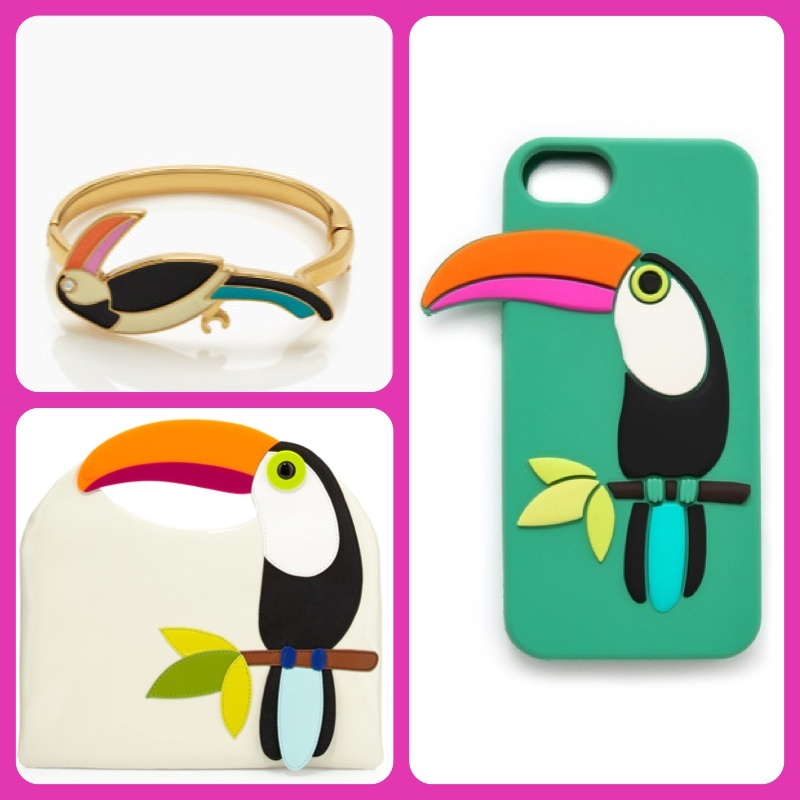 If you think about it the Toucan is the bird version of a rainbow and a rainbow is the visual reference of total happiness which makes this the happiest collection in town this season…just sayin’!!!! The Rio Collection is the perfect combo platter of color, fun and fashion…You can outfit everything from your bod to you wrist to your iPhone with her latest and greatest.